How to use Beat List? 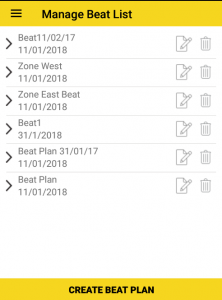 Here user can view list of added beat plan and manage it. -User can edit, delete created beat from list. -User Can view Detail by clicking on row. -User Can add new beat from this screen.